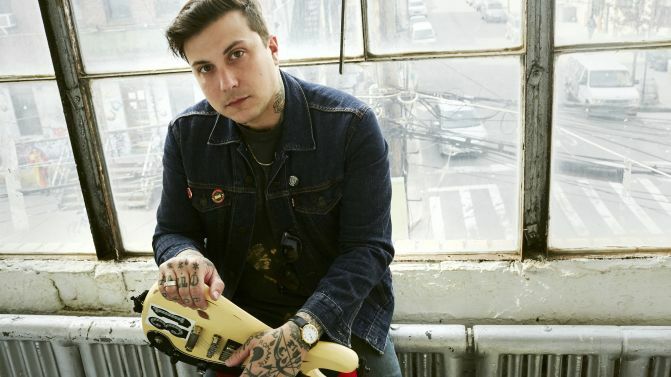 Frank Iero has announced his brand new album ‘Barriers’, under the new moniker of Frank Iero and the Future Violents. The ex-backup vocalist for My Chemical Romance has just signed a brand new record deal with UNFD, and he’s pretty bloody stoked about it. Iero also released a statement about the album’s premise and the process of creating it. “It got me thinking about how we set up these obstacles around ourselves,” he said. Along with the announcement, Iero has teased the release of lead single ‘Young and Doomed’, which will be out tomorrow. Barriers is out Friday, 31st May.